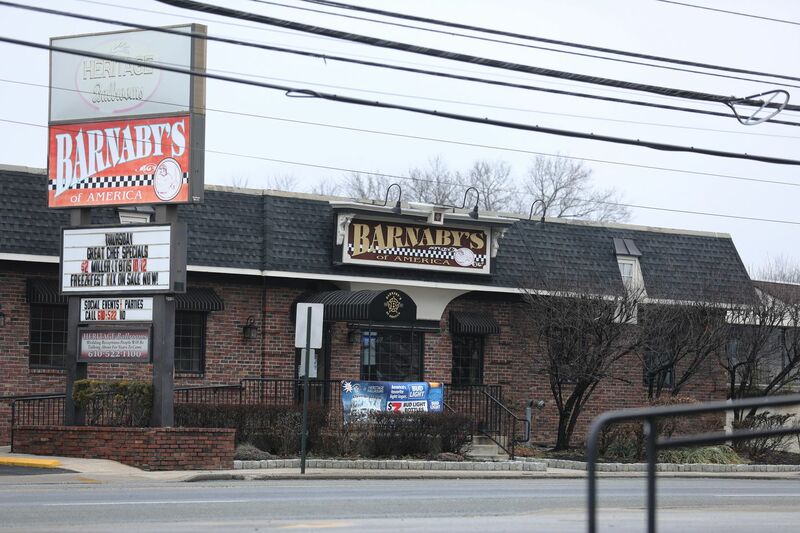 Barnaby's in Ridley submitted a request to sell their popular bar-restaurant to New Destiny Christian Center, an evangelical Christian church based nearby. Folks in Ridley Township are fired up. They don’t want to lose their neighborhood Barnaby’s to an evangelical church. On social media, a chorus of opposition rose over the news that the popular watering hole was to be sold to New Destiny Christian Center, a grassroots worship community that now meets elsewhere in the township. The township zoning officer on Monday denied a request for a required change in occupancy, a move that could scuttle the sale, but that decision could be appealed. On local Facebook groups, heated debates broke out, with some folks questioning whether another place of worship would benefit a township that has at least eight Christian churches for its 30,000 residents. Rumors, many untrue, further stoked outrage. Some said they worried that congregants would go door-to-door proselytizing, or that New Destiny — which focuses in part on helping people who have fallen on hard times, according to its website — would bus in struggling outsiders, or that local property taxes would go up with the loss of a taxpaying restaurant. A Change.org petition titled “Stop the Sale of Barnaby’s to Non-Tax Paying Entity" was shared on Facebook and quickly received thousands of signatures. Others asked how a church replacing a bar could be a bad thing for a community. Over the years, the MacDade Boulevard bar-restaurant, one of four Barnaby’s locations in Delaware and Chester Counties, has become a local hangout known for happy hour deals, pub fare, and DJ’d events. The employees at Barnaby’s have become like family, and make it a point to get to know customers and watch out for them, said Finnegan, a state-employed case manager who said she lives five minutes from the bar. But that isn’t the only reason she said she opposes the sale. “I don’t think the location right there is a good location" for a church, Finnegan said. The 32,000-square-foot building is on Ridley’s main strip next to a shopping plaza with a Family Dollar store, a karate studio, and a tanning salon. Barnaby's in Ridley submitted a request to sell the popular bar-restaurant to New Destiny Christian Center, an evangelical Christian church based nearby. And she is among those who worry about the township’s losing the tax revenue of the bar to a church. Rob Beiseigel, 36, one of the first to share the news on a town Facebook group, said the same. “I think a lot of people are worried about it being tax-exempt,” Beiseigel said. And the location doesn’t lend itself to a church, as “it’s in a shopping center,” he said. Ridley Township Manager Ed Pisani said he was shocked when his phone started blowing up with friends and colleagues texting him about the outrage online. Few people were calling his office with questions, he said, but they were up in arms on Facebook. As the anger intensified, Scott MacNeil, 47, said he was struck by the way some users were discussing New Destiny. “It’s kind of funny,” MacNeil said. “People are calling it a cult, and three-quarters of people in the community don’t know anything about the church." MacNeil said he has never been to a New Destiny service, but has heard that the church has “done a lot of good in the community." He said he believes that if a Catholic or Methodist church were moving in, it wouldn’t trigger such backlash. He said he thinks some are opposed because New Destiny is a nondenominational church with a racially diverse congregation. The pastors at New Destiny did not respond to multiple requests for comment, but posted a statement on their website following a reporter’s calls. “As Pastors of New Destiny Christian Center, we are writing to express our excitement about the opportunity before us," read the statement, which was signed by Pastors David and Teresa Verdecchio. “After eight years of leasing a building here in Ridley Township, God has answered our prayers for a permanent home just a short drive from our current location on Bullens Lane, and we are currently under agreement to purchase a building. ... As a nondenominational Christian church, we look forward to the opportunity to continue spreading the love of Jesus everywhere we go." David Verdecchio told the Delaware County Daily Times, “It is just a simple purchase of a building. We are a Christian church," and declined to comment further. Board of Commissioners President Robert J. Willert said in a statement that the certificate of occupancy request was denied because the area is zoned as a commercial district and does not have enough parking for a place of worship under the zoning ordinance. If New Destiny appeals, a hearing will be held. The owners of Barnaby’s did not return multiple requests for comment on the possible sale. Bought in 1988 by William Daley and Ralph LaMarra, the property is valued at more than $600,000, records show.